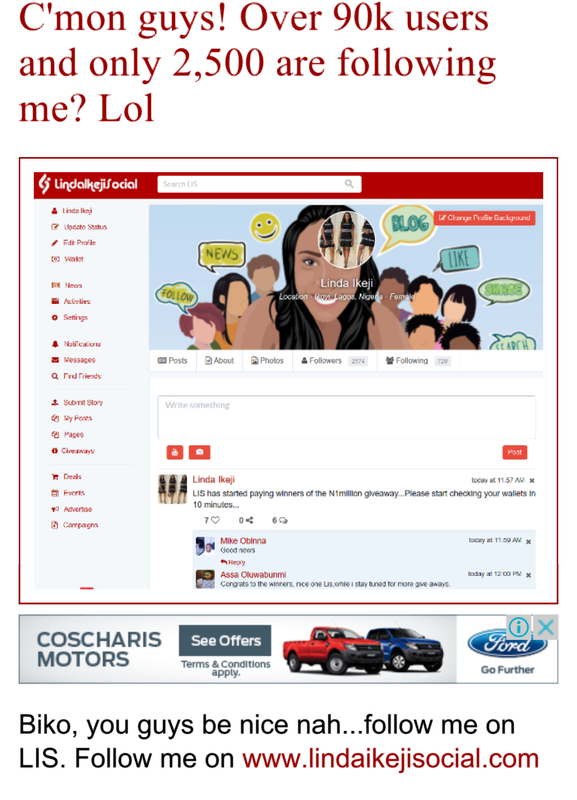 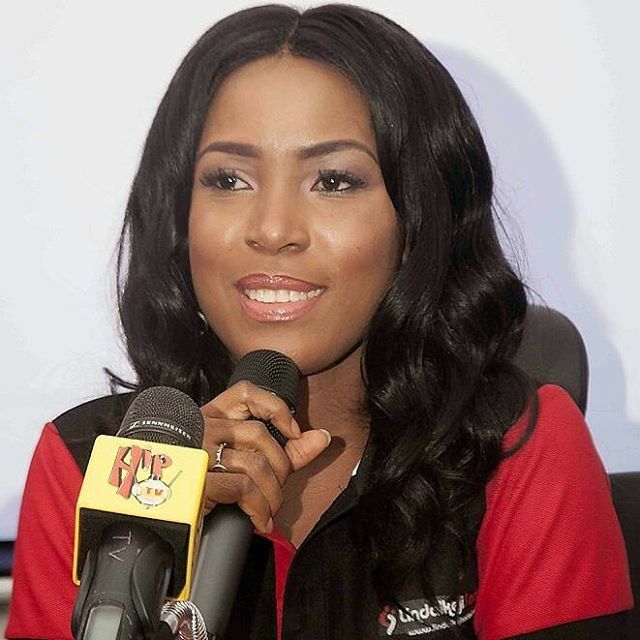 Linda Ikeji begs blog readers to follow her on LIS... 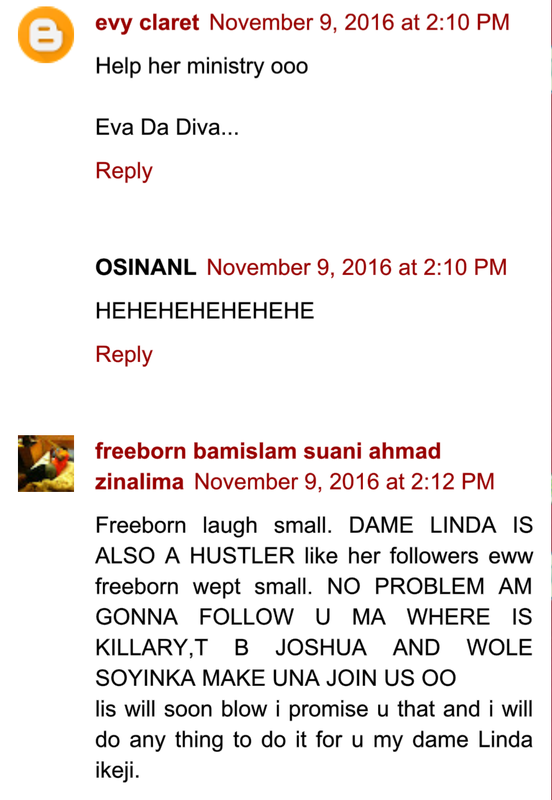 They frowned. 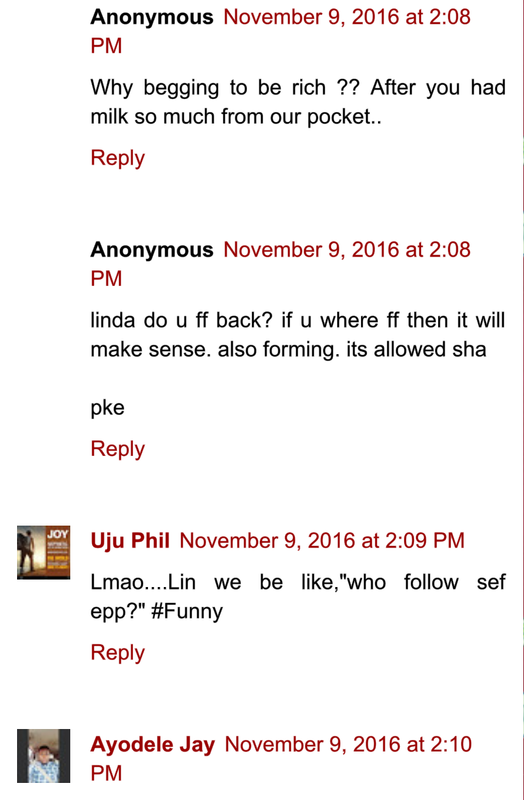 Lolz... it was seen today that the blogger tycoon begged her readers to Pls be nic and follow her on Linda Ikeji social as it currently has 90k users but roughly 2.5k follows her... she said "Biko, you guys be nice nah...follow me on LIS. 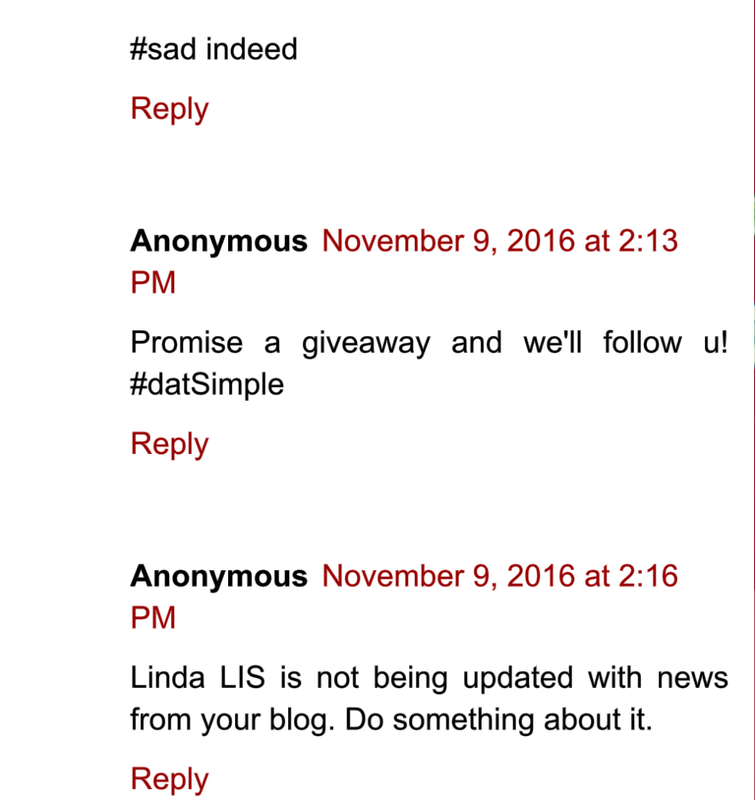 Follow me on www.lindaikejisocial.com"
Obviously their is nothing wrong asking your readers to follow you as a blogger... it only becomes hilarious, weird, lame, absurd and annoying when your attention is not given and they turn deaf ears... see her readers comments below.